I didn't anticipate doing another WOW post this week but there so many great books coming out this summer and fall that I'm very excited about. Waiting on Wednesday is a meme hosted by Jill of Breaking the Spine! 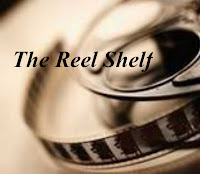 This week I am waiting for the release of two books, one adult and one YA: The Child Finder by Rene Denfeld and Words in Deep Blue by Cath Crowley. I found this book while attending a library webinar and after reading its description I knew I had to read it. Three years ago, Madison Culver disappeared when her family was choosing a Christmas tree in Oregon’s Skookum National Forest. She would be eight-years-old by now—if she has survived. Desperate to find their beloved daughter, certain someone took her, the Culvers turn to Naomi, a private investigator with an uncanny talent for locating the lost and missing. Known to the police and a select group of parents as “the Child Finder,” Naomi is their last hope. 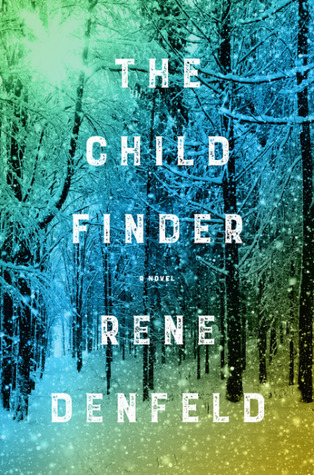 Told in the alternating voices of Naomi and a deeply imaginative girl, The Child Finder is a breathtaking, exquisitely rendered literary page-turner about redemption, the line between reality and memories and dreams, and the human capacity to survive. I really enjoyed Cath Crowley's Graffiti Moon and would love to read more from her. Judging by the book's premise with letters and a second chance romance I think I will also really this book too. Years ago, Rachel had a crush on Henry Jones. The day before she moved away, she tucked a love letter into his favorite book in his family’s bookshop. She waited. But Henry never came. Now Rachel has returned to the city—and to the bookshop—to work alongside the boy she’d rather not see, if at all possible, for the rest of her life. But Rachel needs the distraction. Her brother drowned months ago, and she can’t feel anything anymore. As Henry and Rachel work side by side—surrounded by books, watching love stories unfold, exchanging letters between the pages—they find hope in each other. Because life may be uncontrollable, even unbearable sometimes. But it’s possible that words, and love, and second chances are enough. Oh gosh. Cath Crowley. I havent' read her since Grafitti Moon. I will definitley be on the lookout for her new book. I got an ARC of Ebenezer Creek thanks to you. I know! I keep finding books too. Oh these look good. Hope you get them! 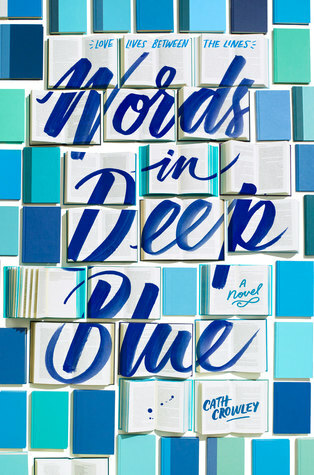 I was confused about Words in Deep Blue not already being out since I've seen reviews for it but realized it's because it's being released in North America a year later. I liked Graffiti Moon too so I'll probably end up giving this a try at some point. These both look like they will be good, I hope you end up liking them both!